Take advantage of 20 percent taken off the price of this well-specced gaming laptop right now. If the allure of a powerful gaming laptop, and being able to transport your gaming library around is a strong one for you, then this deal is for you. 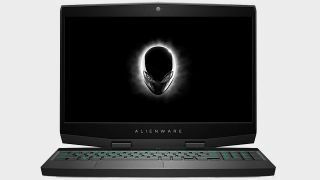 Over at Amazon right now you can save a neat $400 on a highly-specced Alienware M15 right now, making it $1599. That's the good news. The bad, or maybe just slightly less good, news is that the deal is only available today: until midnight PST. But you can be sure of the quality you'll get in this deal by pulling the trigger today, as the headline specs packed into this funbox prove: an i7-8750H processor; 16GB of RAM (2 x 8GBs); an RTX 2060 graphics card; and a 512GB M.2 SSD. Elsewhere it'll bag you a Full HD, anti-glare IPS display with a very respectable 144Hz refresh rate, a new lighter and thinner design from Alienware, as well as all their design and software extras. This is a standout deal in the gaming laptop market, where prices can be prohibitively expensive, bordering truly ridiculous, so we think this offers a great value opportunity to join the portable gaming party. Alienware usually comes with a premium pricetag, but this seems pretty reasonably priced.